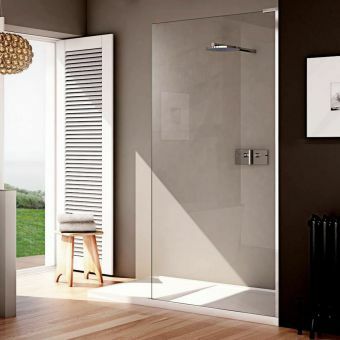 Matki is one of the leading UK manufacturers for Shower Enclosures, Wetrooms, Shower Trays & Bath Screens. 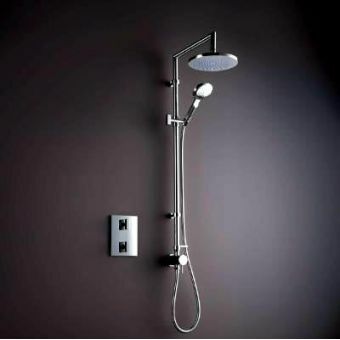 Matki Showers are known for their extraordinarily designed ranges such as Illusion, Matki-One, Eauzone Plus & Radiance. 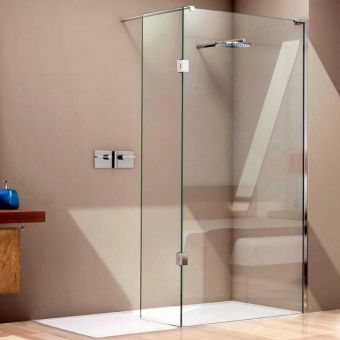 As one of the most prominent names in all things shower related, Matki Showers proudly present a range of shower enclosures that are made to the very highest of standards, covering all manner of layouts and installation requirements. 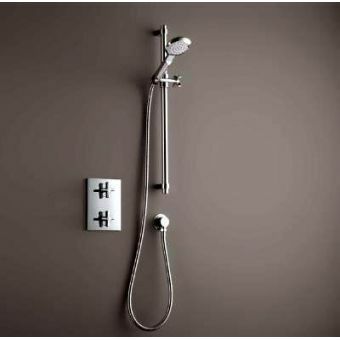 Providing the essential components for you to realise a modern, crisp shower area, Matki Showers components are solidly built and beautifully presented. 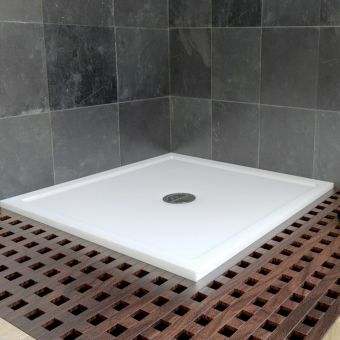 Matki have an extensive range of shower trays, many are low profile in keeping with today's modern trends and designed to compliment their own frameless enclosures. White, slate or any bespoke colour can be ordered in a large range of sizes. 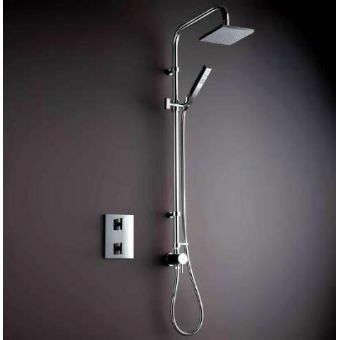 Unique shower designs with a flawless chrome finish and technological prowess, these classic pieces from Swadling will never go out of style. Powerful deluge heads and handsprays all make for an envigorating start to the day with superlative styling. Matki Showering is a regular fixture with the glossy interior design magazines such as Elle Decoration. They are at the forefront of design and innovation, they are continually striving to be the leading manufacturer of showers. Operating for 40+ years Matki’s products have developed as they have. We are now seeing more frameless enclosures and enclosures with a variety of different frame colour options. Matki are known for their build quality. 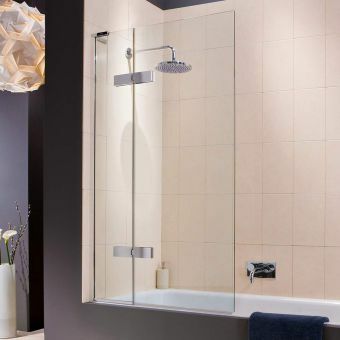 When you purchase a Matki Shower Enclosure or Bath Screen you can be confident that it’s going to last as long as you need it. 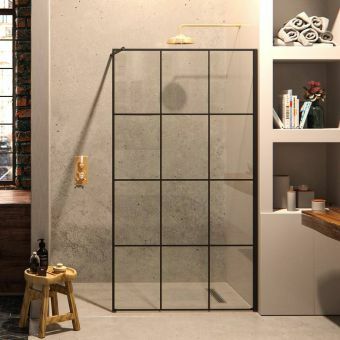 Matki Shower Screens are built to in 6, 8 or even 10mm toughened glass, which is designed to withstand all the knocks of everyday use. The sturdy polished aluminium construction of the glass supports strive for quality and perfection lending an unrivalled feeling of solidity when the door closes. A comprehensive ten-year guarantee is to be welcomed but in reality, it is doubtful if it will ever need to be relied upon. Just in case, the first two years cover parts as well as labour with a further 8 years parts on most products. 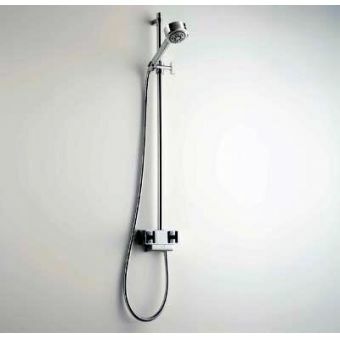 Shower valves and brassware products carry a five-year warranty. 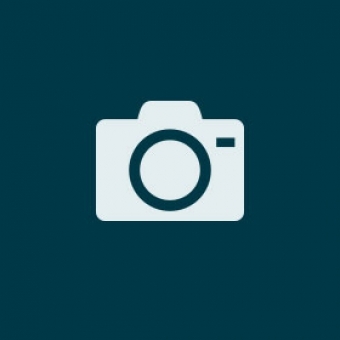 Many screens now have this innovative feature included as standard. The Glass Guard surface coating is applied to the inside of the screen to protect and create an invisible buffer between the glass and dirt. Less cleaning equals more time doing what you want to so put the cleaning cloth away for another day! Matki offer a full bespoke service for the range the Eauzone Plus Bespoke. This means you are now not limited to just standard sizes. You can now have a Matki Eauzone enclosure in even the most challenging of spaces, in a variety of designs and finishes. 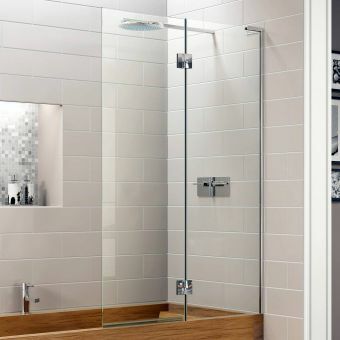 Matki was originally formed in 1971, this family-run British based manufacturer has had a clear understanding of what it wanted to achieve; to provide the best quality showering facility. The manufacturing standards are without compromise. Product innovation and development continues to lead the market and other manufacturers can only try to keep up. Product designs continue to offer functional and unique design solutions. Matki is without a doubt one of the leading manufacturers both in the UK and worldwide. Matki’s factories are solely based in Bristol, Redruth and Waterlooville, they are a true British manufacturer. Quality management systems pass and surpass EN quality standards and operate an ISO:90012008 system. All component parts are quality checked throughout the manufacturing process and then packaged to the highest standards. 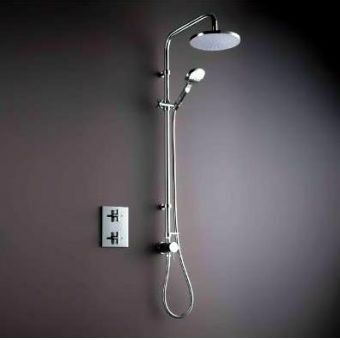 You can be assured when purchasing a Matki Shower that every effort has been made so that you receive the best product in the best condition. Matki design every component part to minute details; considering the installation of the product throughout. Their product innovations have brought about many patented design and fixing solutions Matki is at the forefront of global interior design trends. Their research and development team have an up to date and in-depth awareness of new materials available to the market and constantly test both the limitations and benefits of new products to ensure the final solution meets their strict standards. To back this up most Matki products have a 10-year guarantee on parts failure. The initial two-year period covering the cost of the labour if there is deemed to be a manufacturing fault. Also, as you would expect from a top-level manufacturer Matki can supply repair parts for a number of products which are taken out of the range. This really does back up their passion for making sure the products they provide offer the greatest functionality for the longest period. Conjure up some interior design magic with the Matki Illusion series of cubicles from Matki Showers. Realised in a plethora of shapes and designs, Matki Illusion is a stunning collection for the stunning interior. Each of the Illusion shower enclosures is a statement piece in its own right. Ranging from classic hinged doors to offset quintesse units, Illusion is bound to have something that appeals to the designer with grand visions for the ultimate stylish bathroom. 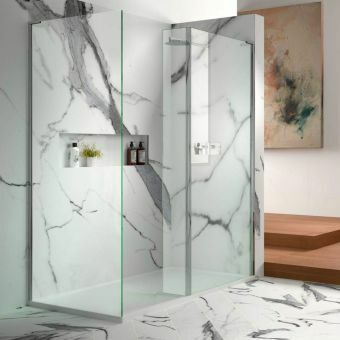 Grand and luxurious, these shower doors are magnificently realised with sheer walls of toughened safety glass, fitted with a bare minimum of chrome stanchions and fittings to create a minimalist area that lets in light and gives the interior a real sense of space. Showering in a Illusion enclosure is an experience to remember. 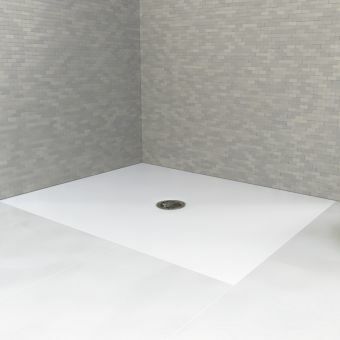 The Matki Illusion is by far our most popular range, in particular, the Matki Illusion Quintesse is one of our best selling shower enclosures on the site and it is easy to see why. A range within a range the Matki design team again exceeded all expectations and launched this new product. Matki-ONE is available as standard in silver but also gives you the option of coloured trays handles and frames. 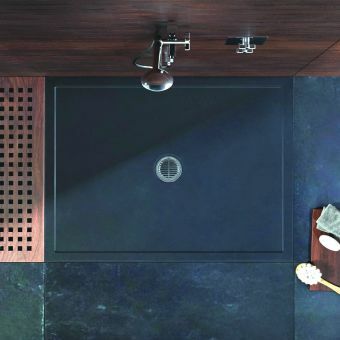 Whilst coloured trays have been coming onto the market for some years Matki is the first to compliment the move towards different colours in brassware and trays with the frames and handles to the shower. 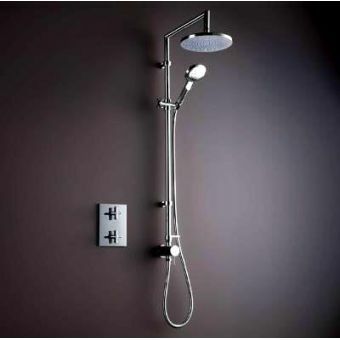 This provides greater design options so colours in the shower or bathroom area’s can be contrasted or complimented giving a stylish and elegant look to the room. Matki have used all their years of product innovation to make sure the quality and long lasting high performance is not compromised. A full range within the range Matki One offers sliding and hinged doors in recess or corner fitting, Quintesse options, wet room panels and quadrant or curved enclosures. With eight different handle discs, five different handle options and four frame colours you can turn a standard product into your bespoke choice. Further special features also include a 2-way pivot door giving the option to open the door in or out. Glass guard is standard as is 8mm glass. Matki recommend their Continental 40 shower tray or the universal 40 shower tray if complimentary colour options are required. At the top end of the range is EauZone Plus. 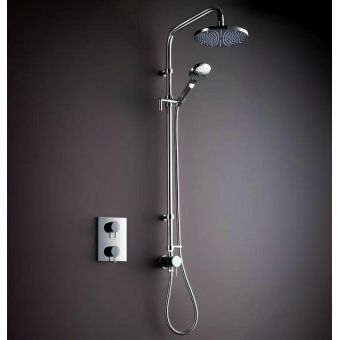 Uniquely designed by Matki for the more discerning client this architecturally advanced minimalist product range provides a truly luxurious addition to any shower area. Combining both functionality and elegant form the Eauzone Plus is engineered with 10mm glass and minimalist framing. The range is designed to suit many different size variants not available to most manufacturers; the EauZone range helps to bridge the gap between the standard and bespoke. Even though every cubicle, enclosure or panel in the range is manufactured to order standard delivery is still around 10 days. Radiance, previously radiance and original radiance has definitely stood the test of time. One of the older ranges in the Matki portfolio, radiance has, over the last couple of years, going through a serious re-modelling process to bring the range up to date with interior design trends and current marketplace expectations. The original design ethic’s for Radiance have been maintained. Features like integrating runners for sliding doors into the tray have been kept. The difference now is that the tray has a much lower profile so visually the radiance sliders are more minimalist and more contemporary looking. New handle options and soft auto-assist sliding doors help to create to more contemporary feel and the chrome finished aluminium frame offers robust streamlined profiles. A mixture of 6mm and 8mm glass is used in this range depending on the type of door and although glass guard is standard on certain doors in the range with others you will need to add it as an option. With the sliding doors the tray is included but with the pivot doors in this range, Matki recommends their Continental 40 trays with fast flow wastes included. The pivot doors are suitable for wet floor or level access tray installations. All in all the radiance range has been modernised and simplified and still provides one of the most versatile product ranges in the collection. 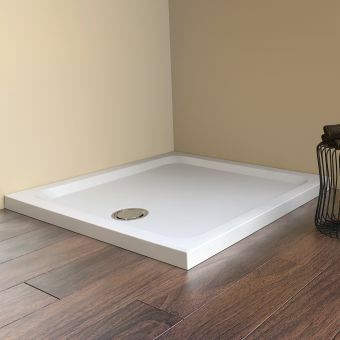 The Matki Boutique range has the open and seamless look of a spa wet room without actually being a wet room. 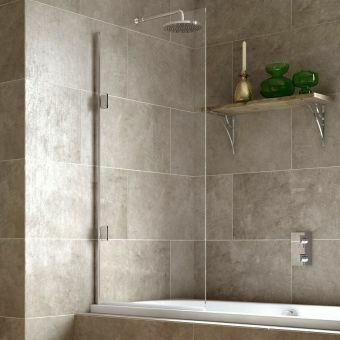 The Matki Boutique Walk in is a great complete solution, you can even order it with matching Matki Elixir Brassware, which has been built into the overall design of the Walk in shower, to create something truly stunning. 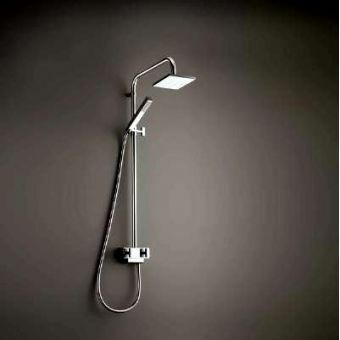 The Matki Boutique can be installed as either a recessed shower between three walls, or it can be installed in a corner. Colonade is simple but majestic in its styling. One of Matki’s classics it is still as popular now as when it was launched. Colonade hides unsightly runners on the sliding options in a unique way that only adds to the elegance of the product. With 8mm glass and chrome finish aluminium frames quality is assured as always. Pivot, straight sliding options and in-fold doors are available in a number of sizes where Matki offer suitable trays in the portfolio but these must be ordered separately. The above image shows the Matki Eleganza bath screen in-situ on a built in bath with natural stone tiling. 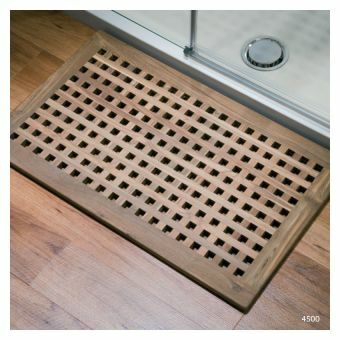 Effortlessly styled the Matki bath screen offering is small but will suit most requirements. 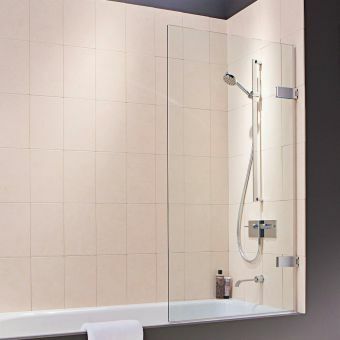 Inward and outward options are available with single panel screens hinged from the wall, fixed/hinged panel options to extend further down the bath and a folding screen completes the range. 10mm, 8mm and 6mm glass are used depending on the model required and all are supplied with the chrome finished sleek frames.